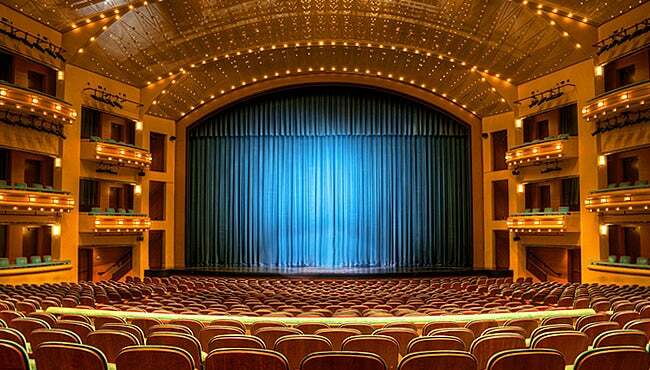 Procter & Gamble Hall is the Aronoff Center’s largest theater and seats 2,719. It has a fully-equipped stage, state-of-the-art sound and lighting, and a beautiful ceiling studded with 3,000 fiber optic lenses that create a starlight effect. The rich color scheme of terra-cotta, teal, and ochre is accented with brass trim and cherry wood. Excellent sightlines and comfortable seating add to the enjoyment of any event.